Our altitude is around 1,550 meters as we pull up to Rigoberto Paz’s finca. I have made the ascent on the back of Pedro’s moto, passing waterfalls, clouds, and two aldeas, Chimizal and El Sitio, along the way. Rigoberto prunes a coffee tree. Gilberto pulls out his phone to call Rigo to let him know we’ve arrived, but he laughs because we can hear his phone ringing in the distance. We make our way through the rows of coffee trees, guided by Rigo’s whistles, and find him, machete in hand, among a section of newly planted coffee trees. Rigo tells me he has owned his farm for fifteen years and has sold his coffee to Unión MicroFinanza the last three years. Patrick, UMF’s president, had told me that Rigo’s coffee last season was especially delicious—in each cup there were chocolatey-mango flavors. I feel privileged to be here at his finca, where the warm, liquid deliciousness I enjoy in the morning originates. We start with pruning the farm. Gilberto tells me that although it seems counterintuitive, a coffee tree should not have as many hijos, or branches, as naturally grow; optimally, each tree should only have 2-3 hijos growing from the trunk. This is so that the leaves can get sufficient air and sunlight. If there are too many branches, the tree will actually produce less coffee, because there isn’t enough energy being allocated to cherry production and nourishment. The section of the finca we’re working on is only two months old, and already there are up to seven hijos branching off. “Qué lastima,” or “what a pity,” Gilberto laments, as he cuts off five hijos from the tree. His face cringes, as if he can feel the plant’s pain. His love for coffee farming runs deep; he tells me he learned much of his knowledge about diseases and caring for the farm from his father. Light sprinkles of rain come and go throughout the morning. Pedro and Gilberto help Rigo prune about six rows of coffee trees. I ask Rigo how much time it will take him to do the whole farm. He says it will take him a week to prune half of a manzana (that’s a little less than an acre). Pruning, however, is just one of the basic practices that UMF covers in its trainings. Next, Gilberto and Pedro teach Rigo how to identify diseases and nutritional deficiencies. We assess the health of the farm by analyzing 100 leaves chosen without bias from different trees and parts of the farm. Pedro holds up each leaf one by one and identifies if there is a deficiency or disease. Rigo records the results in the UMF libreta, or notebook, in which he can continue to document leaf analyses every month. Rigoberto and Gilberto record results from the leaf analysis. As we’re finishing up the 100-leaf sample, the sun comes out, which if you were wondering, is pretty intense in the tropics at 1,550 meters. Ten of the leaves have roya, or coffee leaf rust, 20 have ojo de gallo, or chicken’s eye, and a handful have nutritional deficiencies. The verdict? Rigo makes plans to fumigate later this week with cobra verde to limit the spread of the diseases, so the leaves can continue to grow, making healthy plants and, in turn, more delicious coffee during this year’s harvest. With personalized training sessions, not large-scale demonstrations or brochures, UMF makes the connection between current agricultural research and small-scale rural farmers. This is a relationship-based organization that is here for the long haul, not just to buy coffees during harvest or distribute microloans. The innovative farming techniques aim at improving the quality and increasing the quantity of the coffee, so the farmer can make more money during the harvest. This works toward our ultimate goal: enriching the lives of the people of the communities in which we work. A lot can happen in a month. A business can be started. A house can be built. A farm can be planted. Or a life can be changed. Only five weeks ago, I was in my comfortable room back home in Rochester with no clue of what I was getting myself into. After all, I have been to Central America before; how different could it be this time? What I didn’t realize was that living in a place for an extended period of time is completely different from vacationing there for a week. 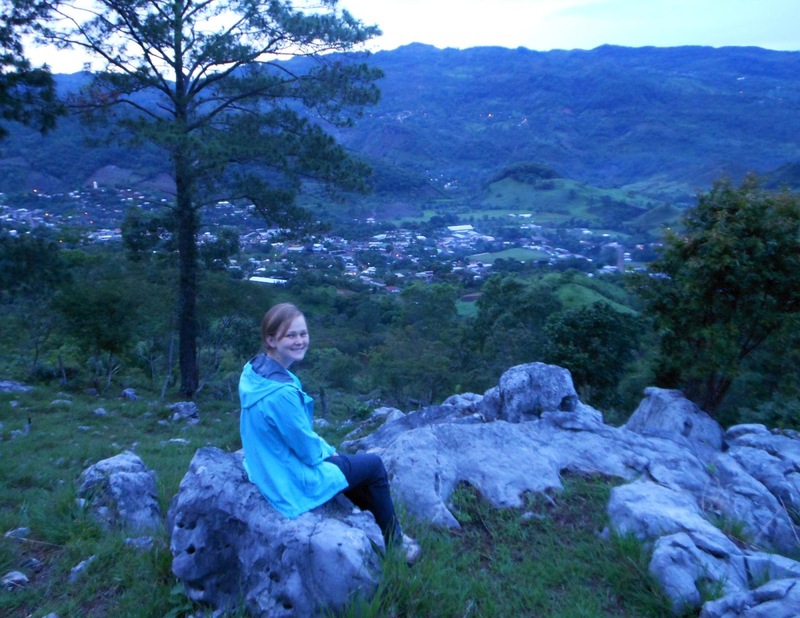 Since my first blog, I got to see and learn a lot more about life in La Unión. This post touches on two different aspects about my observations and opinions, both centered on farmers I have met in Honduras while in the office. Kerry talks with farmers receiving their microloans. Specifically, I have been busy working on microloans and on my research project. Here, microloans are distributed to farmers in the form of fertilizers. Farmers from aldeas (villages) around La Unión come to pick up their orders and receive any other information they need for their next monthly meeting. In preparing for microloans, we needed to set up a distribution sheet for all the farmers and go over what types of fertilizers they requested. Lead by Martir, Gilberto and Pedro, we reviewed every client’s loan application and determined how much each farmer qualified for and how much they would receive for their microloan. These numbers take into account the farmer’s attendance at bimonthly meetings and repayment records from past microloans. Every client who came into the office had a story. The farmer that made the deepest impression on me was a man who walked in with crutches. At first, I thought his foot had nails in it that came through his socks, but that didn’t seem plausible. I glanced back. It did. On March 6th of this year, he had been chopping wood with an ax and accidentally chopped right through his foot. The nails were surgically implanted to hold his foot together until the wound healed. He is hoping to get the nails taken out in September but will need another checkup just in case. In the aldeas, surgeries and emergency medical care aren’t available for many miles. The nearest hospitals are 2-3 hours away by bus, and for more serious cases, residents need to travel to San Pedro, about 5 hours away by bus. This farmer’s accident would have cost him not only medical bills, but also the income lost from not being able to work on his farm. Moreover, like much of Central America, his farm suffered from roya, or coffee leaf rust disease, which would have further impacted his harvest income. I can only imagine the hardships he endured (and still is enduring) to support his family. Despite the situation, his strength resonated. This has been a recurring theme with all residents of La Unión: resilience. They find a way to come back. I was likewise impacted by another example of strength and resilience. It regards a common story shared by only a handful of voices: the voices of women. In the week and a half of microloans, I was excited to see a few women farmers walk in to buy fertilizer. In La Unión, women typically stay at home to cook (it may take hours to prepare one meal) and take care of their children (many households have three or more children). The male of the household is usually in charge of working on the farm or other business. In one of my conversations with Hondurans from La Unión, I mentioned that some fathers in the U.S. stay at home to take care of the children and do household work while the mother supports the family with her job. They simply laughed and thought I was joking. Although women in Honduras have many duties, they are usually not the main income-generator of the household. That is why I was very excited to witness five women, out of 143 clients, walk into the office for their microloans. Although only five physically came into the office, we have a total of 24 women microloan clients—17% of our total clients. (For those who didn’t come into the office, either their husbands picked up the fertilizer, or the village organized one or two representatives with trucks to pick up everyone’s fertilizer.) 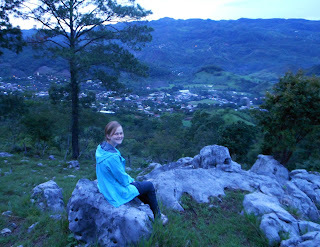 I recall learning that one of the women farmers represents La Cuesta as a village leader. 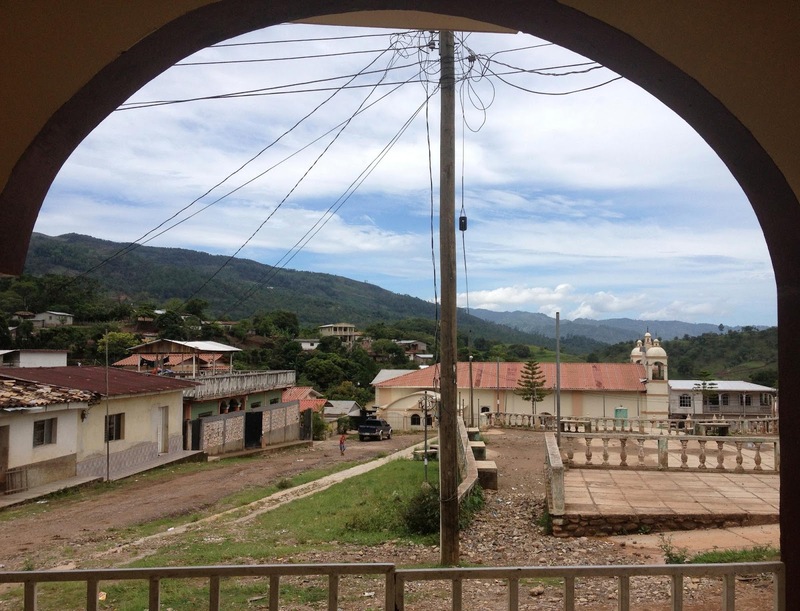 And, in the town of La Unión, another woman simultaneously raises her three daughters, manages her coffee farms, and owns a coffee processing facility. I was impressed by the strength and independence these women show in their leadership roles. By interacting with these and other farmers during these past few weeks, I have witnessed their unceasing ability to overcome obstacles. Whether faced with economic or social obstacles, they adopt a mentality of not succumbing to defeat—this is not for themselves, but for their family and their children. In every interview and every meeting with the farmers I have had, I see their faces light up as they mention their children, their cousins, and their parents. Through my conversations, I'm continuing to see how the people of La Unión work to support the ones they love.